All of a sudden it hit me. I needed a getaway. I needed some zen. The Copenhagenize Consulting/Cycle Chic offices were emptied. Everyone was on holidays and there I was, sitting in Copenhagen. Not a bad place to sit, of course, but it's been a hectic year for the company and I suddenly felt the urge. The kids are enjoying a holiday with their mum, my lovely and brilliant ex-wife, and I'll be travelling to Croatia with them next Monday for 14 days of beach time. Copenhagen and Denmark shut down for three weeks each July, when most of the nation goes on their summer holidays, so everyone is gone and it's a lovely period in the city. So quiet. With all the travelling I've been doing this year with the company I felt the need to completely unwind, if only for a few days. That's when I found a secret zen getaway in Copenhagen's great backyard... some people call it Sweden. 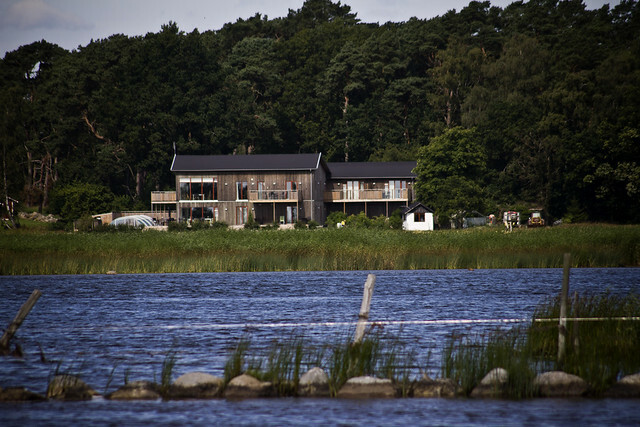 An elusive little B&B/hotel on the east coast of Southern Sweden. The photos on the website were all I needed. 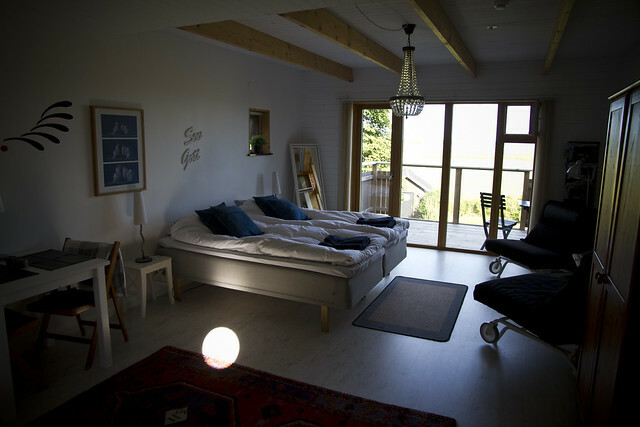 There are only four rooms but luckily one of them was available for two nights. Bodelssons by the Sea here I come. Upon booking and informing them I'd been arriving by bicycle, I recieved an email with a pdf containing a "secret" bicycle route from Bromölla Station to the hotel. How cool is that? This was clearly the place for me. First things first. Packing my Michaud Executive Panniers and getting them onto my 1955 Crescent bicycle. 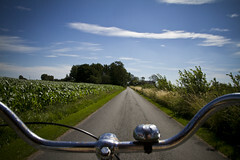 Then cycling to Copenhagen Central Station and taking the train for two hour to Bromölla, Sweden. The trains between Denmark and Sweden have these groovy bicycle seatbelts in the bicycle compartments so they don't fall over. Sweet. I'm not much of a cycle tourist. I prefer other things. But bumping down country roads for seven odd kilometres to a secret hideaway suited me fine. 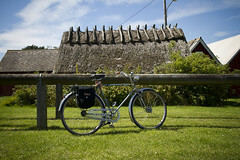 Taking the Crescent bicycle back to Swedish soil, where it was designed and built 57 years ago was a nice idea, too. Kind of like taking an Arne Jacobsen Swan chair back to Denmark for a visit. Although that would be less practical. After a splendid ride from the train station on bicycle infrastructure (yes, even in small towns) and then country roads, this is the sight that greeted me. 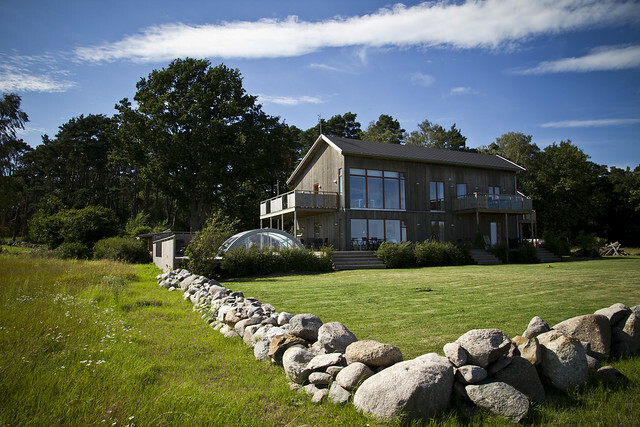 This would be my spectacularly zen view for the next three days - wavy grass leading to the boldly blue Baltic Sea - but to be honest I was constantly torn between looking at the view and looking at the building. I was greeted by Leena Bodelsson, born in Denmark and raised in Southern Sweden and speaking perfect Danish interspersed with fluent English. Bodelssons by the Sea is her baby. 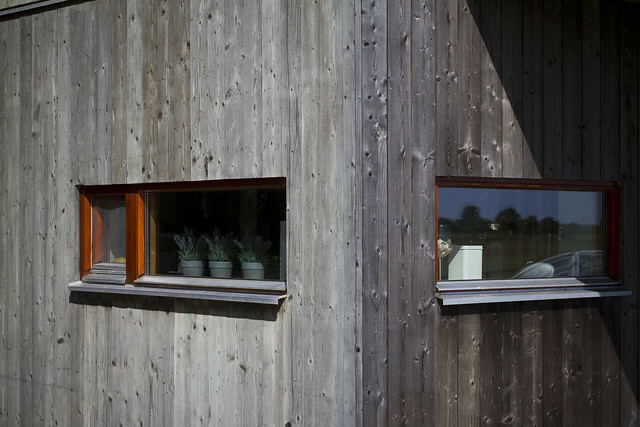 Leena, one of the most passionate people you could ever hope to meet, designed the house herself and her husband Jonas built it. We talked about design and architecture and she told me a great story. 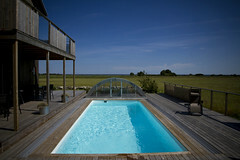 The design of the place was hers alone but one day last year a group of architects booked the rooms and came to stay. She ended up asking them why they chose the place and they said that it was because of the clear associations to the architecturally famous Sea Ranch development in Northern California. Leena got a kick out of this because she just designed her own place and the obvious associations were a great coincedence. Sea Ranchish or not, word is spreading about this little pearl of a place by the sea. Many guests are from Copenhagen or Stockholm. 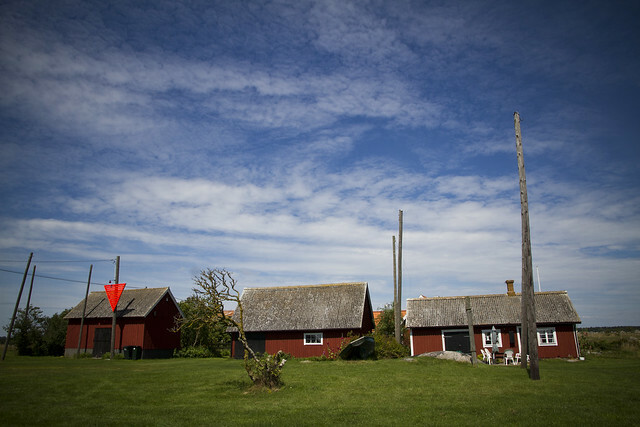 The quaint, traditional Swedish houses that dot the landscape are lovely, but they're a little clicheed now. Being able to relax in a little four-room hotel surrounded by calming architecture and exquisite design whilst staring at a spectacular view of the sea is a niche that Leena is capitilising on. There are no signs to guide you to the place. Motorists get sent gps coodinates and those of us on bicycles get a map of a secret route through the woods. The first and only sign that greets you is at the door. 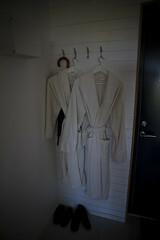 Although dreamy bathrobes and slippers in the room make you feel welcome, too. I stayed in St. Pers Room, named after a rare orchid only found in three places in Sweden - one of them being the nature reserve nearby the hotel. Leena's attention to detail is everywhere. Only the finest quality duvets on the beds, the best damned towels I've ever rubbed myself with in a hotel and subtle personal design signatures at every glance. Meals were enjoyed in the cosy dining room. A classic Swedish breakfast buffet greeted me in the mornings and Leena served dinner to the guests in the evenings. Her own recipes and always with a focus on locally-sourced organic food, as well as great wine. The guests are often Dinkys and Whops, as Leena put it. Double Income No Kids or Wealthy, Healthy Older Persons. Oh, and then there was me. An IKHP, I suppose. Income Kids Healthyish Person. The building is lovely from every angle. The temperature was up around 30 degrees so the pool was a refreshing addition. In the evenings, a jacuzzi gets fired up on the terrace. 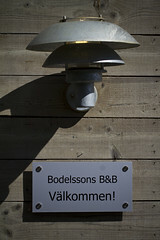 The whole point of a place like Bodelssons is not having anything to do and loving it. I did, however, ride down to Tostaberga Harbour for a bit of quintessential Swedishness. 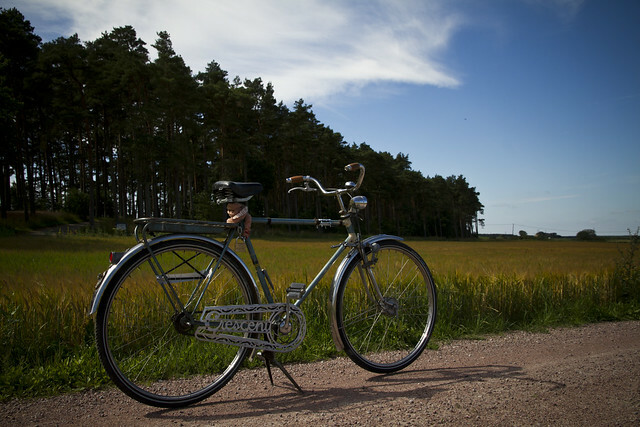 Cycling on a squeaky vintage bike with one gear, past fields of wheat and tiny, rocky inlets in the Swedish summer, is my kind of cycling tour. Leena tells me that many people will take their bikes on the train from Copenhagen to get there, but most people arrive by car. 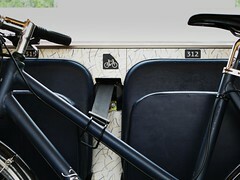 Here's hoping that all the Copenhageners who make the trip set the standard by taking their bikes. It's an easy ride from Bromölla Station, even in the fall and spring. 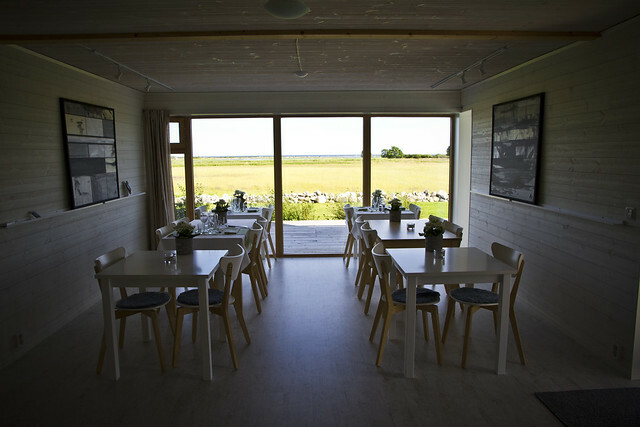 At the very least, Bodelssons has bikes for rent for guests who wish to pedal about the countryside. 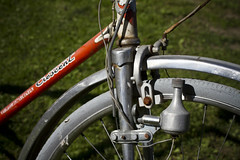 Not these two - the rentals are more modern - but I couldn't help admiring these vintage bicycles. A Skeppshult from the 1930s and a Crescent from the 1950s. Mission accomplished. Zen achieved. Back to Copenhagen rested and relaxed. 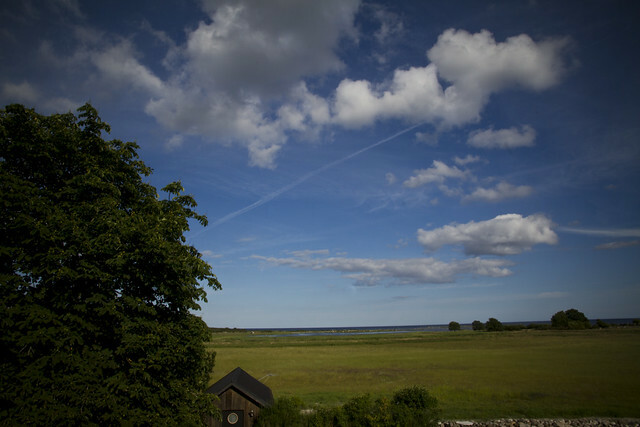 The perfect design hideaway is within easy striking distance from the Danish capital. I'll be back. 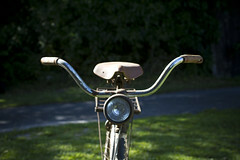 More from the Cycle Chic Voyage series. You are not by any chance considering cycling in Croatia as well, are you? i'll be cycling on Krk, in Croatia, yes. These Maxi dresses are so beautiful. Any look would go with it. If you are a hippie, a goth, a sporty or a classical woman, you will for sure find the dress that fits you in this large collection.